Column : Consisting of an extremely rigid box section and is provided with machine slideways for the saddle elevation The Column is supported on swivel bearing permitting 360' degree smooth rotation of Column. Column locking clomps are provided to secure it when the boom mounted welding head is positioned for welding. 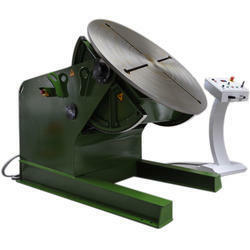 We offer premium quality positioners, to move work-piece or weldment in order to position the work-piece. It enables down hand welding to be conducted in whichever position required or possible. 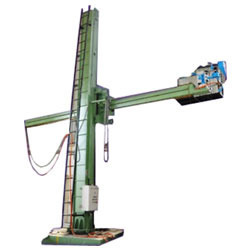 There is an alternate to positioner, the work-piece can be moved physically by crane. Positioners reduce the fabrication time by 40%. Weldor offers Vertical clamps, rotating clamps, toggle clamps, clamping stops and squares of all sizes.